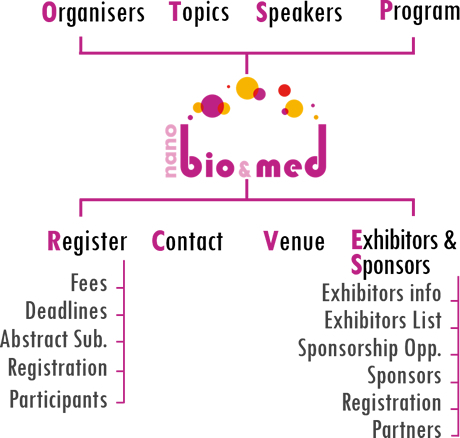 The NanoBio&Med2016 is going to present the most recent international developments in the field of Nanobiotechnology and Nanomedicine and will provide a platform for multidisciplinary communication, new cooperations and projects to participants from both science and industry. Emerging and future trends of the converging fields of Nanotechnology, Biotechnology and Medicine will be discussed among industry, academia, governmental and non-governmental institutions. 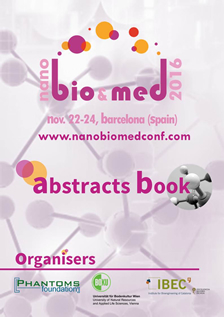 NanoBio&Med2016 will be the perfect place to get a complete overview into the state of the art in those fields and also to learn about the research carried out and the latest results. The discussion in recent advances, difficulties and breakthroughs will be at his higher level. Exhibition and sponsorship opportunities available.